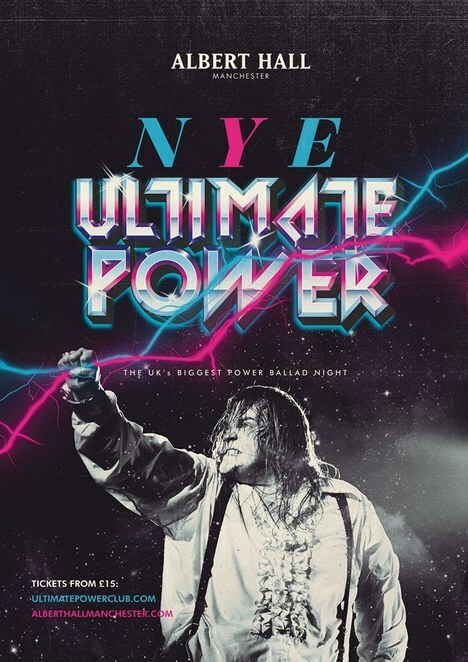 Taking place at the Albert Hall this Sunday is your chance to sing along to the best songs at the Ultimate Power New Year's Eve. Ultimate Power is a popular club night where you listen and sing to some of the best music and songs. Everyone loves a power ballad and this is your chance to sing at the top of your voice on New Year's Eve and bring in 2018 in style. The atmosphere is unique and this is a truly different and enjoyable club night. This is your chance to experience the popular club night which runs across the UK in five cities with Manchester being one of the lucky places which gets to experience the fun. You might need to warm up your vocal cords as this is the place to sing at the top of your voice to those big songs which everybody knows. Playing nothing but classics all night, you will love singing along with everyone else. If you love singing but hate karaoke, this is perfect as everyone is singing alongside you. As with every event for New Year's Eve, tickets are almost gone so you will need to be quick if you want to plan a last minute night out. General admission tickets cost Â£22 and VIP tickets are still available at Â£38.50. VIP's get quick entry with a queue jump ticket, access to a special area which includes a private bar and even private toilets. The night starts at 9pm on Sunday 31st December, so get your singing voice ready and get ready to enjoy some power ballads.